Welcome Dinner – Set by the beach, this Welcome Dinner was an absolute success in kickstarting the celebrations. 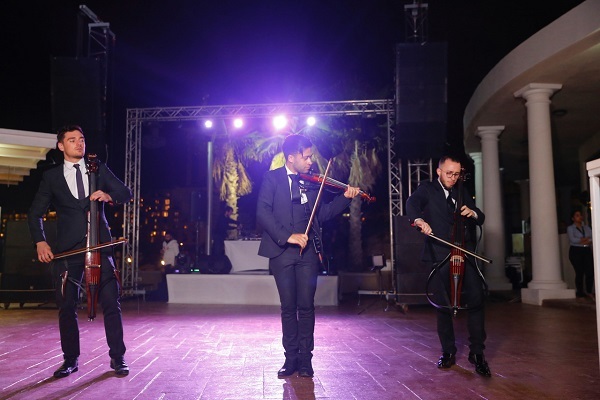 This glorious dinner witnessed an amalgamation of splendid acts by some of the best artistes across Europe such as a Fire Act, a saxophonist and an instrumental band called ember trio who performed some of the chartbuster numbers with a twist! Later in the evening, Drumline drummers along with the DJ took over and the guests danced the night away. 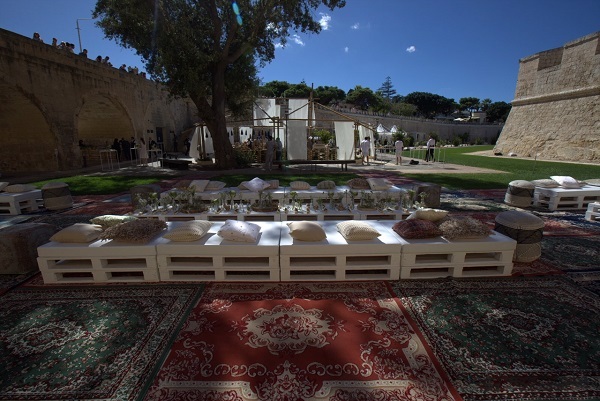 Le Picnique – The primary concept of this event was to have a picnic setting with a European flee market vibe. This event had various corners of game stations, a shisha counter, a massage station, a henna station as well as a herb inspired mocktail bar. We had some of the finest artistes flown from across Europe such as a Digital Caricaturist, who would sketch the pictures of all guests, we had a Magician flown from London to deliver some of his best tricks and Revue Band with their upbeat tracks got the event alive! 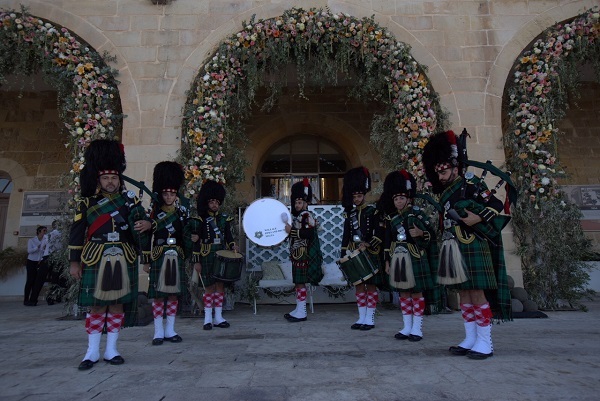 We also had Tree Huggers flown down to Malta to welcome all guests with a quirky twist. We organised various games that was led by a host, which was also a great hit with all the attendees. Sangeet – The Sangeet event is the most popular event at an Indian Wedding. Wedniksha conceptualized and scripted the entire event integrating all the family member and performances, which really set off this successful evening. 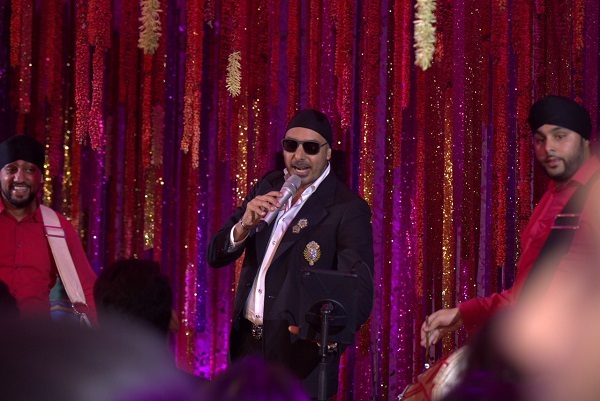 After an array of family performances and roasts of some of the Bride & Groom’s close friends which left all guests in tears from all the laughter, we had one of the most renowned singers from Punjabi Music genre, Sukhbir, who pumped up the crowd & set the stage on fire along with the Drumline drummers. 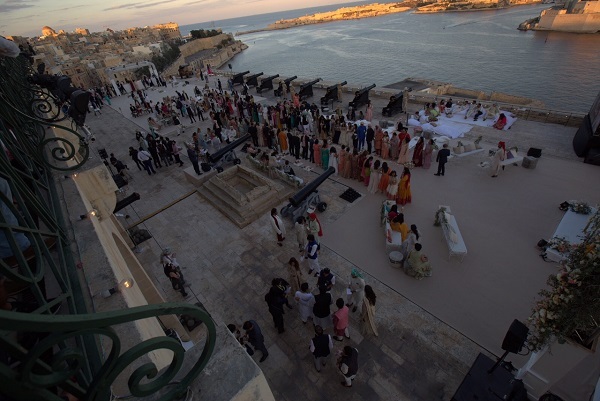 Baraat & Reception - The Reception was set at a heritage property recognised by UNESCO called the Saluting Battery, situated at Valletta, the capital of Malta. The Baraat Procession began from a point about a few minutes from the venue, which had once again Sukhbir getting the crowd excited, accompanied by one of the best dholwalas from London called Drumline. There was a moving DJ truck with DJ Sameer & DJ AJ on it as well. At the reception we had the Bride & Groom’s seven vows said by their seven best friends and there was a cannon fire followed after each vow giving a dramatic feel to this beautiful romanticism. "We also had fireworks across the sky to celebrate this holy unification. The key highlight of the night was the performance by Ustaad Raahat Fateh Ali Khan, popularly known as the epitome of sufi music", says Bhavnesh Sawhney, Director, Wedniksha. 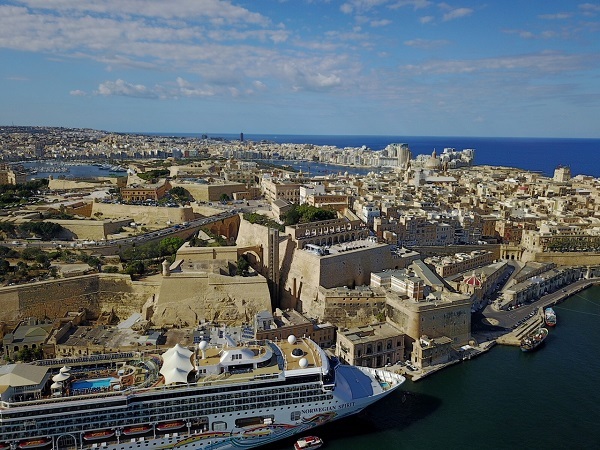 Commenting on how fitting a destinaiton Malta is for an Indian Wedding Celebration, he added, "Malta being a mesmerizing destination presented us with a wonderful experience in organizing a rather remarkable wedding celebration. The venues were stunning, cultures so diverse, and people, extremely welcoming and hospitable. 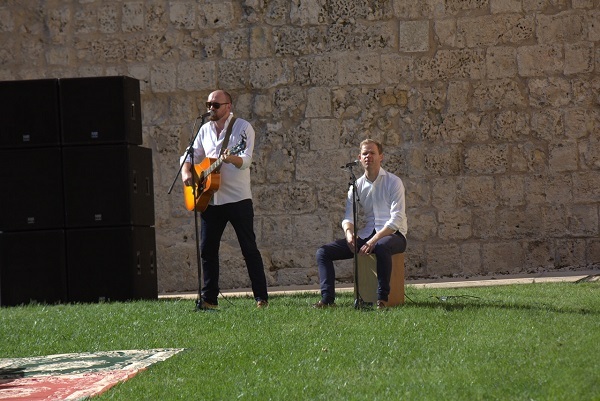 From the Bedouin Bar and Pavilion to Mdina City, Wedniksha create a varied and picturesque setting for every occasion of this 3-Day Wedding celebration in Malta from Oct 10-12, 2017.